While everyone can view one copy of their credit report from each major bureau each year for free through AnnualCreditReport.com, those don’t include any of your credit scores. 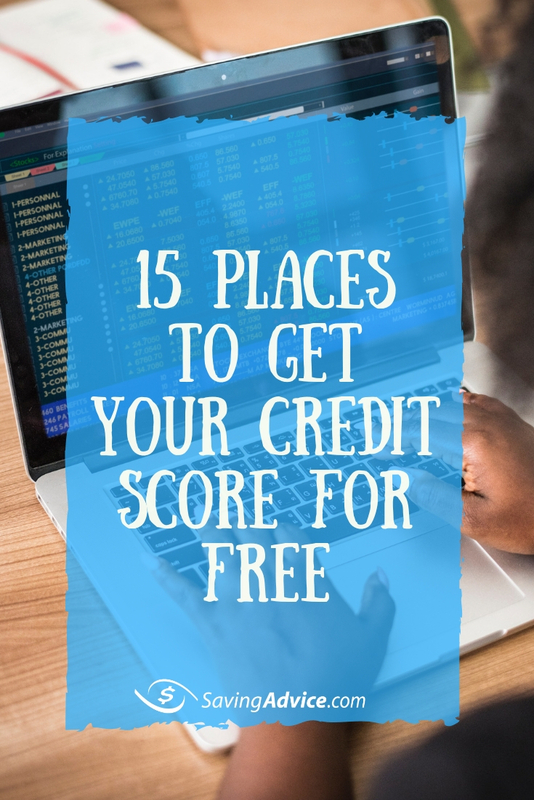 Knowing your credit scores can be very beneficial – particularly if you are thinking about getting a new loan, credit card, or mortgage – and getting a free credit score is even better. Some sites dangle free credit scores at signup for a monthly service and, if you don’t cancel in time, you get stuck paying for something you might not need. However, there are free credit scores available. Here are some websites where you can get at least one of your credit scores for free. Credit Karma is one of the biggest names in free credit scores. They actually let users view both their Equifax and TransUnion VantageScore 3.0 scores right through the site or mobile app. Credit Sesame is a lot like Credit Karma but only allows users to see their TransUnion Vantage Score 3.0 credit score. The score updates every month, usually triggered by your first log in during any given calendar month. Quite a while ago, Bankrate purchased Quizzle, a free credit score service. Now, Bankrate users can view an updated TransUnion VantageScore 3.0 directly through the Bankrate site. If you want to see your Experian FICO Score 8, you can access it through Experian’s FreeCreditScore website. The score updates no more than once every 30 days, and your login triggers the update request. Unlike some credit card companies, which only provide credit scores to cardholders, Discover lets anyone see their Experian FICO Score 8 for free. The Credit Scorecard service updates the information when you request it, but you can only make a request every 30 days. However, if you need to know your score before submitting a loan or credit card application, this is a nice option to have. If you have an American Express account, the company automatically provides you with your credit score every month. You can view your Experian FICO Score 8 for absolutely nothing as long as you are the primary cardholder and you have enough activity to generate a monthly statement. Non-cardholders can also view a free credit score through the American Express MyCredit Guide service. However, this isn’t a FICO score. Instead, it uses TransUnion VantageScore 3.0. Bank of America credit card account holders can see their TransUnion FICO Score 8 for free on the bank’s website. It updates every month automatically, and all you need to do is log in and head to the “View Your FICO Score” section by clicking on the link. Anyone with a Capital One account, regardless of whether you have a credit card with the company, can take a look at their TransUnion VantageScore 3.0 score in the CreditWise section of their account. Chase Slate cardholders also have access to their Experian FICO Score 8 every month. It displays right on your website dashboard and is updated each month automatically. Anyone who doesn’t have a Chase Slate card can still view their credit score for free thanks to the Chase’s Credit Journey feature. This provides you with access to a TransUnion VantageScore 3.0 version and is refreshed weekly. Select Citi credit cards make cardholders eligible for a free Equifax credit score. Users can take a look at their Equifax FICO Bankcard Score 8, which is updated each month. Anyone who uses Mint can check out their TransUnion VantageScore 3.0 score for free. However, many free options (that aren’t related to a credit or lending account) only require the last four of your Social Security Number to get started. Mint bucks that trend, asking for your entire Social Security Number instead. US Bank cardholders can take a look at their TransUnion free credit score by heading to CreditView on their dashboard. Primary account holders for a variety of consumer accounts can receive a free Experian FICO 9 Score through their online dashboard. The information updates each month, no later than the 5th business day of the month. This applies to credit card, mortgage, and similar borrowing or lending-style accounts. When you look for a free credit score, you may have the ability to see either your FICO score or your VantageScore 3.0. While they are both forms of credit scores, they have different calculation criteria. Plus, lenders usually give more clout to one over the other. While the details of how credit score calculation usually aren’t disclosed, we do know that the algorithms are different. As a result, your VantageScore may differ from your FICO score dramatically. Most lenders use FICO credit scores to determine whether you are eligible for a financial product. This means that viewing your VantageScore alone might not be helpful if you are planning on opening a new account, as it may not align with your FICO score, even though both options have a range of 300 to 850. Plus, there are multiple kinds of FICO scores, including some industry-specific versions that try to anticipate how likely a person is to repay a particular type of debt, like a mortgage or auto loan. Those industry-related scores can also have a range of 250 to 900, which may confuse consumers who aren’t aware of that fact. From a monitoring perspective, VantageScore 3.0 credit scores can still be valuable. Generally, if your VantageScore is consistently rising over time, your FICO score like is as well. However, if you want to make sure you know your credit score before applying for a new account, then checking your FICO score is a better move. It’s important to note that your FICO and VantageScore credit scores can vary from one credit bureau to the next. Even if they use the same scoring model (like the FICO Score 8), your Experian, Equifax, and TransUnion scores can all be different, though usually only slightly. Not all lenders report to all three credit bureaus. As a result, one bureau may have a record of one of your credit accounts while another does not, impacting the bureau’s calculation of your score. Before you apply for new credit, you may want to ask the prospective lender which credit bureau and score they use. Then, you can either try to find an option to view that bureau’s score for free or may want to pay to see your scores before you apply. How do you usually check your credit score? Share your experience in the comments below. Credit Karma vs. Discover FICO Score Review: Which is Better? One of your first post-graduate lessons should be on the proper use of credit. Poor early decisions regarding credit can have adverse effects for years. Here comes some credit tips for college grads. To begin your credit education, we offer these five tips. You should not avoid credit. Potential creditors will look for evidence that you manage debts well, and when gauging risk, having no history is almost as bad as having a poor history. Start by thinking about how many credit cards you really need, and when you plan to use them. Stick to one or two cards such as a gas station card and/or a starter credit card (with terms designed for limited credit). Verify that all cards report account activity to the credit bureaus. Make small purchases with these cards and pay them off monthly without burdening your budget. Using this method, you can build a solid credit history in a short time and qualify for better terms. 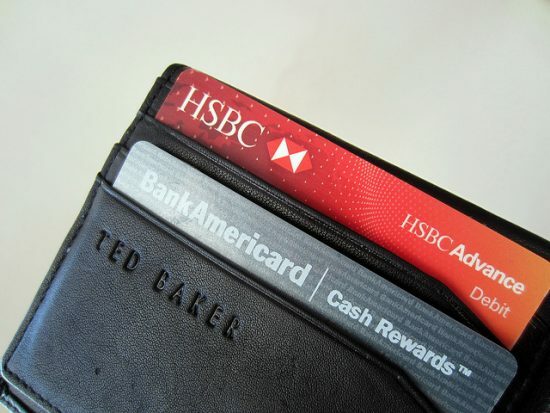 There’s more to choosing a credit card than seeking the best interest rate. A wide variety of cards are available that cater to individual markets. Online comparisons and reviews are available to help you assess the positives and negatives of each card. Seek the card that best matches your preferences and perks. You don’t have to pay your credit card bill in full each month – although if you can, you should, to avoid interest charges – but you should always pay at least the minimum payment amount on time, without fail. Payment history accounts for a large portion of your credit score, and missed payments count against your credit score for a long time. Payments that are late by at least 90 days stay on your credit report for 7 years. Multiple missed payments compound the effect. Don’t forget other debts like utility bills — phone, cable, and Internet — and even student loans. Missing payments on any regularly scheduled bill or installment loan will also damage your credit score. If you spend near your credit limits, your credit score will suffer even if you pay the bill off in full every month. Lenders look at credit utilization, the amount of credit you use as a percentage of your credit limit, to assess the risk involved in lending you money. Credit utilization accounts for another large chunk of your credit score. With a limited credit history and being near your credit limit, lenders assume a few unplanned expenses could push you over the edge. Try to keep your balance below 30% of your credit limit at all times. As a new graduate, you are likely to have significant student loan debt and probably not enough income to cover all your spending wants. It’s too easy to use credit cards as a crutch to prevent hard budgeting decisions. Find out quickly at what rate you can refinance your student loan. Lay out a realistic budget for the upcoming year that incorporates all your regular payments and new expenses that you are likely to require as you start your post-graduate life. Rent, furniture, insurance, new work-related expenses, taxes … it’s easy to lose track of your cash flow and fall back on credit to handle mistakes. Ask friends and recent graduates for help if necessary. Mom and Dad may also be happy to help you lay out a sample budget. They were young once, too. You’re off to a great start! It’s time to venture out into the real world and test your credit knowledge, but feel free to use all your available resources for help at any time. Continuous learning usually leads to the best decisions, in credit or any other aspect of life.